Hilo photographer Suzanne Koan has been shooting scenes around the Big Island for a number of years, and loves coming upon objects and moments. "It's my favorite use of photography - just being at the right place at the right time and seeing something beautiful and capturing it," she says. Koan approaches her work with a Zen-like feel. "I don't take hundreds and hundreds of photos; I take very few shots. 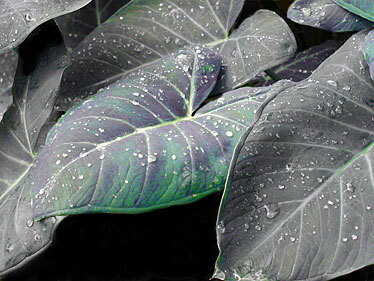 On a good day, everything just shows up right in front of me, and I just snap the shot," she says. "It all comes from the subconscious. That's just my style of art." "Photo(graphy) is really about how you look at the world. The reason it works for me is that I'm really a purist with it. I just shoot it as an expression of what I see. It's a really joyful experience for me, and I think it comes out in my work." Koan will be soon relocating to Honolulu to teach at the University of Hawaii-Manoa in the Apparel Product Design and Merchandising Department. "I'm bringing my stuff and would love to find a gallery there in Honolulu to show my work," she says. 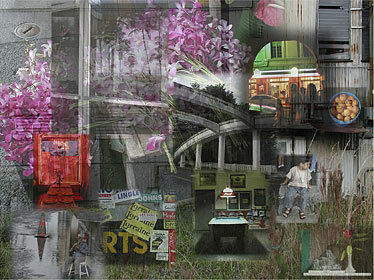 A recent work, the collage "A Small Town in the Pacific," was featured in the Hawaii Photo Expo '08. "It's kind of my goodbye and my synthesis of Hilo, since I'll be leaving Hilo to return to Honolulu. 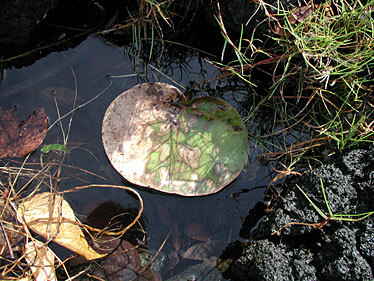 I wanted to capture the essence of Hilo," Koan says. 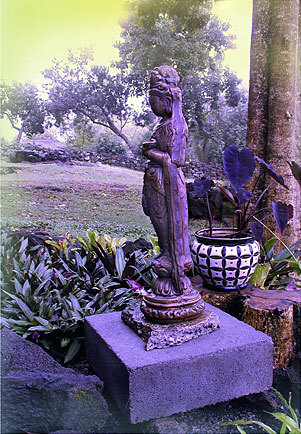 "Secret Garden" shows a statue of Kuan Yan, photographed in Koan's meditation garden. "Rainforest Shimmer" captures a moment found at Volcano. "Float On" was another found moment. "I was walking along and looked down and saw it," says Koan. 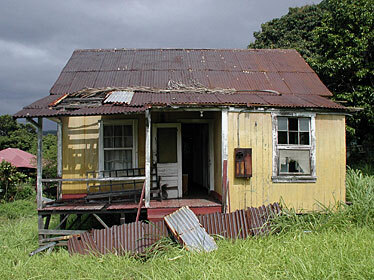 In photographing "The Yellow House," Koan was fascinated with the slow disintegration of a plantation home in Pahala. "It represents what is happening on the island - the disintegration of a lifestyle that is fading away," she says.